Written in partnership with Umbria Tourism. All words and opinions are solely mine. There are lists of reasons to visit the beautiful region of Umbria, Italy. Ranging from its wonderful natural surroundings, which is the basis for the premium food products found there, to the many historical and medieval hillside towns. 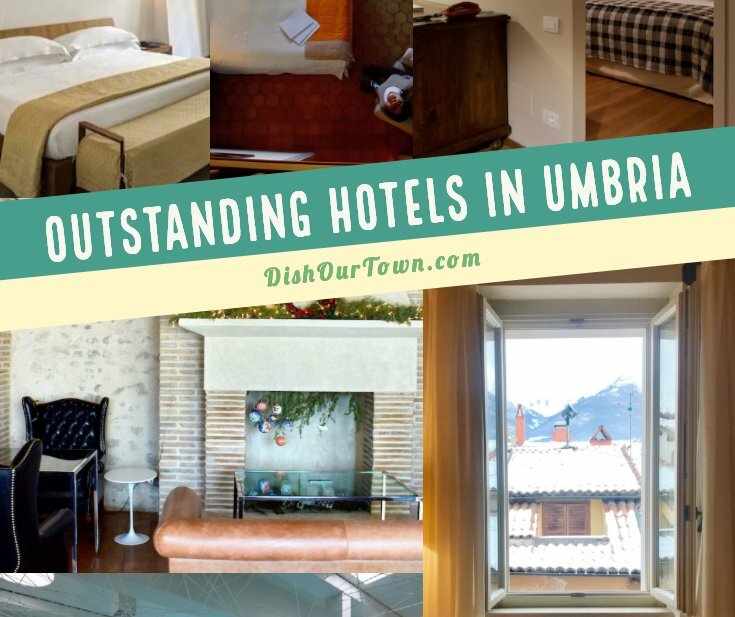 For me, another reason I visit, are for Umbria Hotels. Though not a typical destination of choice in the warmer months (due to a lack of a shoreline) Umbria has qualities that give good reason to visit here as an alternative to the beach. Those in the know, have started to flock here for outdoor experiences other than lying on their backs. There are activities such as cycling, hiking, water rafting, and of course truffle hunting. There’s a range of levels by which these activities can be enjoyed. Be that as it may, Umbria should definitely not be overlooked during the cooler months. Where some of those said activities are better enjoyed during, and some exclusive to, other seasons other than those hot summer months. Umbria hotels also do their part in giving good reason to come to this landlocked region. For one, hotels in Umbria, especially those in the boutique hotel and luxury hotel category, by in large, are better priced than their neighboring regions. Umbria hotels are also capable of providing unique experiences which will make someone forget about the sea, such as spa days combined with food and wine tours. However, I like to lie on my back as well as being active; and where better to do it than luxury hotels in a beautiful land. Now I’m going to use the word, “value” here. If you value nature, an unparalleled food and art culture, rustic surroundings, a healthy lifestyle, family time, and the finer things in life; and want to do it at a value compared to say, Tuscany? Then Umbria is your region. The medieval town of Gubbio is breathtakingly beautiful. It also happens to be one of the more popular destinations in all of Umbria; mostly due to its Christmas celebrations. It hosts the most elaborate Nativity scene in a country filled with Nativity scenes and also displays what is considered to be the largest Christmas tree in all of Italy. Gubbio is a lively town with a lively community. Playing a big part of this is one of the best luxury hotels in the whole region, Park Hotel ai Cappuccini. Just 3 minutes by car (or a 15-minute walk) to the center, this secluded hotel offers convenience along with everything you would look for in a sumptuous, comfortable stay. Upon pulling up to the driveway onto the front entrance, you will realize instantly that the stay will be special. This restored 17th-century monastery turned hotel and spa immerses its guests in the lushness of the region’s countryside, in being surrounded by trees and stonework reminiscent of the Middle Ages. It doesn’t stop there. Once entered, a high taste level for interior design can be appreciated. Sophisticated, yet un-intimidating. It’s a fine hybrid of middle-age culture and opulence, along with the sufficiency of the modern age. The staff is welcoming, efficient, personable, and lacks pretense (which is lacking in many finer hotels). You are made to feel at home immediately. It is a family-owned hotel after all. The lobby is grand, but in the coziest way, articulated by a massive fireplace. You are surrounded by Renaissance frescoes, tapestries, sculptures; all authentic. Along with a smattering of modern impressions, such as the beautiful and comfortable Flemish furniture. Oh, and yes, not to be outdone is their very fast Wifi service. A wonderful dichotomy indeed. As you can imagine, the accommodations are equally as impressive. The rooms are large, with plenty of space for luggage and to simply walk around unimpeded. The beds were dressed in the finest linens, and the bathroom well appointed with everything one would want to be procured for a pleasurable stay. The rooms also smelled very good. If “clean” is a fragrance, then it was certainly captured. It makes you not want to leave the room. Especially because it has a great flat-screen television to boot. However, there are two main reasons that make Park Hotel ai Cappuccini a destination hotel, one of which is its restaurant, Nicolao. It may arguably be the best restaurant in all of Gubbio. With a philosophy of having been blessed with the fruits of some of the finest soil on Earth, the restaurant highlights the regions finest ingredients through local and other traditional Italian dishes. One such dish that captures it best for me, is the home-made passatelli in capon broth. Passatelli is a humble pasta formed of bread crumbs, eggs, grated Parmesan cheese, and nutmeg. It’s a simple dish in the “povera” tradition, akin to grandma’s chicken soup. However, when the bread, eggs, cheese, and spices are local; and the dish executed in an artisan fashion, such as the use of capon broth versus your average chicken stock, a simple dish is elevated in the most exquisite and yet unpretentious way. With a touch of Umbria’s olive oil, it’s a dish that is second to none. Book a table at the restaurant and treat yourself to a diverse menu, excellent service, and a beautiful aesthetic. The hotel also serves wines from the family vineyard. The Dolcetto di Gubbio “Semonte” 2014 is one of them, and it goes down wonderfully. This and many wines and spirits of the region can also be enjoyed in the highly stylized hotel bar. Let’s just say, it’s hard not to order a martini, “shaken not stirred”. After dinner, one can also bring their digestif and pull a chair up to the fireplace to end a nice evening. The second reason which makes this a premier spot for vacationers is its acclaimed spa. There is a long list of treatments and experiences that are offered. One of which is a Sunday special of Dinner and Spa. Now that’s a combination in which to subscribe. Lastly, the spa is just utterly beautiful and tasteful in design. Our favorite “treatment” is the playfully named, “Water Park”. Making up for Umbria’s landlocked position on Italy’s map, Park Hotel ai Cappuccini offers a range of water therapies that can revive any tired body or soul. There is, of course, a big swimming pool in which to simply swim. Not to lose sight of the history of the grounds in which this hotel is built, there is the “Convent Pharmacy” where local monastic traditions such as the use of herbs, plants, and spirits replenish an aching body and sustain a healthy one. Other things to note when staying here. Do NOT miss the breakfast, it’s fit for a king. Served in a rustic setting overlooking the Umbrian countryside, there are few better rooms and views to start a day. As if the view weren’t enough, the coffee served too, is excellent. There are tables upon tables of bread, cakes, fruit, juices, eggs prepared many ways, cooked meats, preserved meats, yogurts, and the list goes on. A perfect stomach primer especially for those who plan to be active. There is a game room for the family to enjoy. On one evening after dinner, my daughter and I watched a family play pool as we played chess and cards. Also, make sure to visit the lovely little chapel and the park where one can reflect on the beauty that surrounds. I can tell that we were on our way up the mountain. The car was steady, but the weather got less and less. Within what felt like seconds, we exited one world and entered another. It was as if we had gone into the wardrobe C.S. Lewis made famously and came out into a beautiful world of snow and frost. Nothing captures a Winter in Umbria like a drive to Norcia. I cannot attest to it, as I have never experienced it first hand, but I am told that it is just as beautiful a ride in the Spring when trees are abloom and Autumn when the leaves change color and start to fall. With some irony to the beauty that surrounded us during the drive, we were headed to a town that is nothing short of destroyed. Devastated by an earthquake in 2016, the town of Norcia is a phoenix still awaiting its rise from the ashes. A seed, if you will, that just may help it get back on its wings is the Palazzo Seneca. In 2017 during the nascent stages of the rebuilding of Norcia, the hotel upheld its part by not closing its doors. Instead, bettering themselves and in return received one of the hospitality and service industry’s highest accolades, Hotel of the Year by Virtuoso. From the street, the hotel would be easy to miss, looking more like the entrance of a country house versus a palace. However, once inside we knew that the experience here was not to be equated to just any hotel experience. This was no country house. We were in fact in a palatial property. In lieu of a desk, people actually came to greet you. No different than a family welcoming you into their house. This was no ordinary house, however. The floors and walls are original; and when you say original in these parts, they basically mean no less than the 16th century. Give and take a century or two. These facets certainly add to the romance of the place. Large fireplaces, antique books in the library, a piano from another era, and the list goes on. However, this is no museum nor time warp. You are made to feel at home and everything is at your use. It also happens to offer all the amenities of the modern world at its finest. The whole place had excellent wifi. The rooms have modern bathrooms with a fantastic array of products; the beds are large, comfortable, with very high thread-count sheets. Absolutely luxe. The design of the rooms is elegant and a bit quirky. Which gives it a very personalized touch versus those homogenous rooms; and in Relais and Chateaux tradition, the sensibility is refined. Our room was a combination of a mountain cabin (replete with wooden beams and coziness) partnered with high-end urban modernity. Our windows faced the snow-capped mountains, and in the mornings we would have our coffee while admiring Umbria’s range. For the record, all rooms have their share of a good view. There is a wellness spa (which makes for a great few hours during the cold months), a lounge where one can sit by the fire, play chess, sit on the couch and mingle with other guests. If you get a little peckish or thirsty, just ring a bell and someone from the waitstaff comes to take and bring your order. There is a topiary garden, which is wonderful even in the winter, and a rooftop where which the vantage point is supreme and all of Norcia can be admired. Especially nice in the evening. The whole stay was a fine combination of privacy and having the services of a well-appointed staff whenever needed. It’s certainly a taste of the good life, but not in a Victorian pretentious way. More like a supremely-run and Bed and Breakfast. Speaking of the good life. Palazzo Seneca is not only one of the best hotels in Umbria, it also happens to boast one of Umbria’s Michelin-star restaurants, Vespasia. Again, in what seems to be the Umbrian culinary ethos, this excellent restaurant led by acclaimed chef, Valentino Palmisano, and sous-chef, Filippo Moriggi, only prepare and serve dishes that are made of local and seasonal ingredients. We were fortunate enough to book a cooking class with Chef Moriggi in which we were taught to make a couple of dishes. One of which, he himself created expressly for Vespasia, simply translated as Tomato Spaghetti. When you taste it or if you are lucky enough to prepare it along with a great chef, you won’t believe how one can elevate simple ingredients to make one the most complex tasting plate of pasta you’ll likely taste. This dish and this hotel captures Umbria in a nutshell; embracing and beautiful; simplicity at its best. Along with Cooking classes, truffle hunting, and many other activities (such as snowshoeing) can be booked through the hotel. When staying here, spend some time walking the main square, which is located directly outside and venture onto the small streets that lead to some of the best salumerias in the world. Norcia has a proud tradition of smoked and preserved meats. Norcia, may still have its share of rubble, but it certainly has its gem in Palazzo Seneca. Get here soon, as this “Lazarus” will surely rise. And when this happens, I can assure you that rooms and dinner reservations will be one of the toughest to attain in all of Italy. The streets were cobbled, and it always felt as if I were walking up an incline. When I exhaled, the white cloud caused by condensation released from my mouth. When I inhaled, I took in the essence of firewood cutting through the crisp cold air. I opened the doors that lead into Trattoria Lea, in the small town of Citta’ di Castello, and find instant warmth in a familial-like greeting given by the staff and the aroma of truffle wafting through the whole eatery. Citta di Castello is a small but bustling town. There is a square in which a market takes place twice a week and many seasonal activities such as the Truffle Festival in November. It also happens to have its share of museums and points of interest. There are of course eateries of every kind from family-run trattorias such as the one mentioned above to simple porchetta stands. Citta di Castello is a quintessential Umbrian town. In it, is one of the most unique boutique hotels in the region, Hotel Tiferno. This property is right smack in the center of town and certainly the place to stay. Once a monastery, it’s only appropriate that this hotel is situated near the path that is the “Camino de San Francesco”, one of the more popular local hiking activities, and the reason many pilgrims come to this region. On the walls of the hotel are hung originals from acclaimed Italian modern artist, Alberto Burri, a native son. Near the entrance is a charming lounge and bar, equipped with a fireplace, reading material, and leisure games to pass time. It’s also a place locals like to meet for a drink. There is a game room with the coolest billiards table, a spa in which a Turkish Bath is within, a state of the art gym to burn off the pasta, and they offer bike rentals which make for a nice way to see the old town and the natural surroundings. This hotel has everything that makes for a well-rounded stay. All the hallways are tastefully themed with artwork from both modern and classical eras, and there are interesting nooks that can only exist in a hotel in which the original foundation dates back centuries. I walked into a small event space that was akin to a medieval chamber. The breakfast spread is excellent and is served in a beautiful white room overlooking the town, which makes one very excited to start the day when looking out. Not to be forgotten are the rooms. Lush with amenities and large in size. If you are a family of 3 or more, book the junior suite which has a second level. Well centered, everywhere in town is easily accessible and the staff knowledgeable and helpful. Visit Umbria any time of year. Whether you are the active type, or like me, a fan of leisure. There is much to do and enjoy. Umbria, though filled with hill towns, is easily navigated by car. The region is known for its pilgrimage sites, such as the Saint Francis Basilica in Assisi. No matter your religious or spiritual disposition it’s certainly worth a visit. There are centers of intellectualism, such as the old University town of Perugia. Where one can spend a day sipping coffee at the square and nibbling on chocolates purchased as the Perugina shop at the center of town. Drive a bit further from town and visit the actual factory, where you can book a chocolate making class. Do you want to see absolutely stunning towns? Visit Orvieto and Spoleto. Want something a little different? Then visit Narni, also affectionately called, Narnia. When you visit this town, you’ll swear that C.S. Lewis was inspired by this place in writing the Chronicles of Narnia. For smaller towns with a great vibe, our favorites are Città di Castello and Todi. Both romantically small with a big heart. Of course, there’s Gubbio. Looking for what to do next Christmas? Look no further. 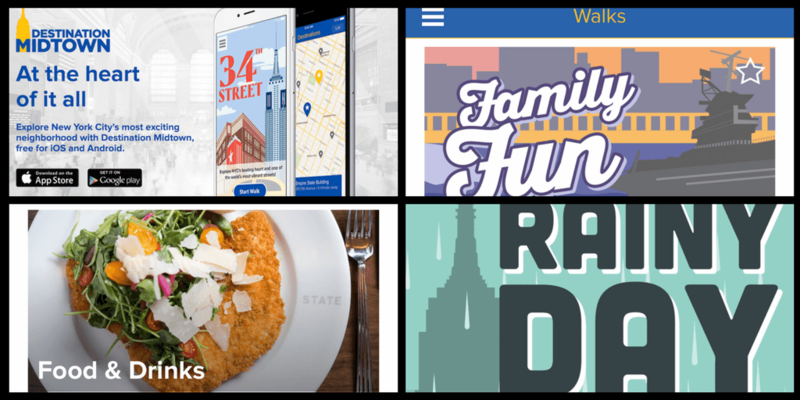 These and other cities will be forthcoming in our future articles. For now, book a stay at Hotel Tiferno, Park Hotel ai Cappuccini, and Palazzo Seneca and enhance your experience in Umbria. As a postscript; if you are looking for an Umbria hotel that is a good fit for families with young or multiple children, then a property worth booking is the Valle di Assisi Spa and Golf hotel. There are swimming pools just for the young ones, on most nights, entertainment geared for families, an evening menu in which kids eat for free, and plenty of space for them to roam. For older kids, there are plenty of sport and leisure activities which include horseback riding, archery, fishing, bocce to name just a few. For more adult-type activities, they have a course considered the best in the region for you golfers, and a relaxing spa for those who want a bit of pampering (especially after a long day with the kids). With the breathtaking town of Assisi set beyond the valley, views are second to none. The restaurant provides shuttle buses that take guests in and out of Assisi. There are also bikes for hire to explore the surroundings. Rooms are clean, comfortable, and spacious. A perfect family getaway. Ready to visit Umbria? Pin this to your Pinterest Travel Board! Great post. Thanks for sharing great information. Oh wow, I can’t believe I’ve overlooked Umbria! I love medieval towns, and I’d love to stay in a former monastery. 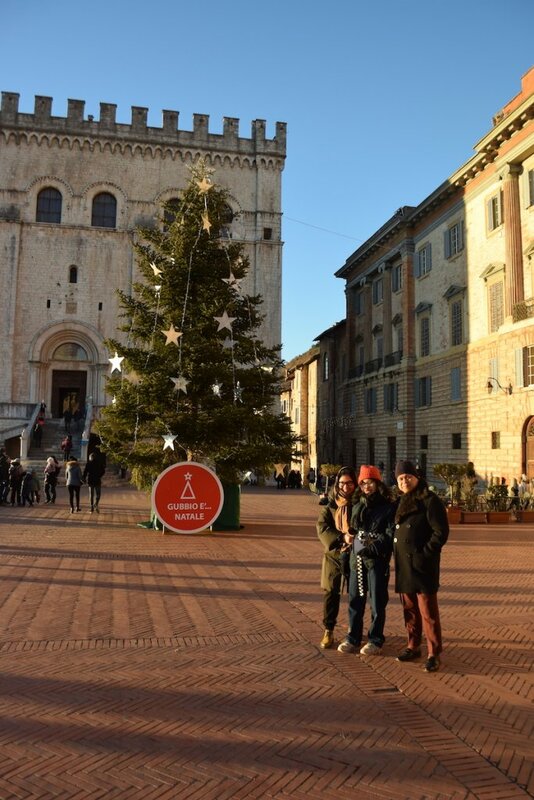 What would you suggest as the best time of year to visit Umbria? Yes, don’t overlook any further. 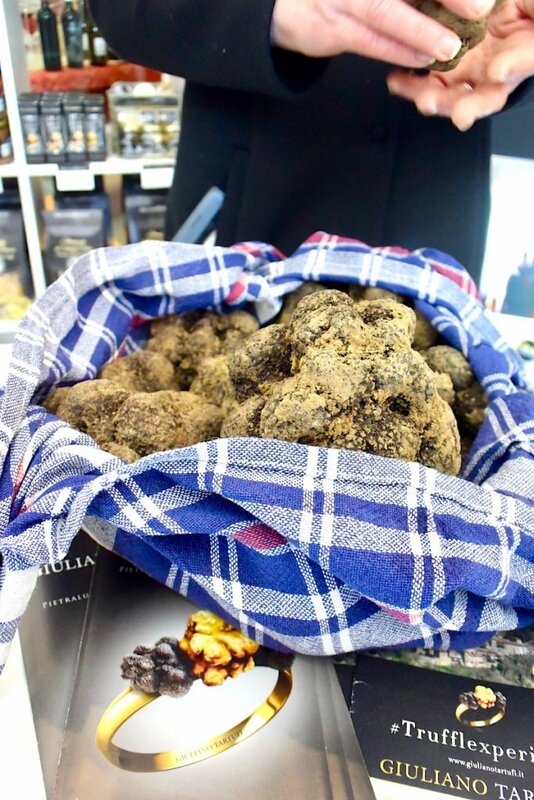 I like to visit during the Autumn months when the wine harvest happens, and truffles are at their best.